TRUSTECH’s tower heater is the ideal space heater not only for warming up your room but also for making it cold when summer comes. This dual-action unit comes with 2 heating and one cooling settings to create a comfortable room temperature depending on your choice. Besides, there are even more features that this product has to offer, except for the fact that it is hushed, so scroll down for more information. 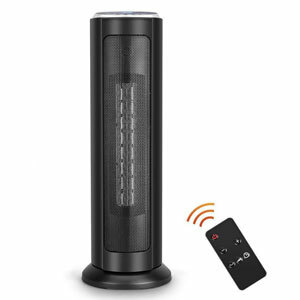 The digital ceramic heater has a stylish look and practical shape that will not take up much of your space. It is 22 inches tall and only 6.3 inches wide so you can install it in every corner in your living space. There is a carry handle at the back of the unit which will allow you to move it around your home and position it where you need toasty warm indoor environment. As for the temperature ranges, you can adjust it to blow warm or cold air from 50°F to 95°F, and this product will do it for no more than a second. Moreover, the oscillation feature will provide a uniform blast of air around the room. And if you do not want that feature on, the option of turning it off is also available. Besides, this ceramic heater will run for as long as you want it unless you have programmed the in-built thermostat to a specific temperature. If this is the case, then the heating will stop, and the fan will start cooling the unit. 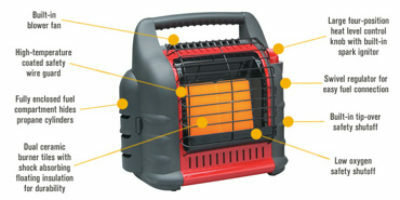 Another benefit of this product is that you can set it to blow warm air either in Low fan at 750w or High at 1500w. Unfortunately, there is no medium setting for heating, but at least you get the cool air feature. Next, we have the timer which is definitely essential if you want to program specific time for turning the heater off. You can set the preferred temperature and then adjust the unit’s timer to stop blowing air up to 8 hours in advance. 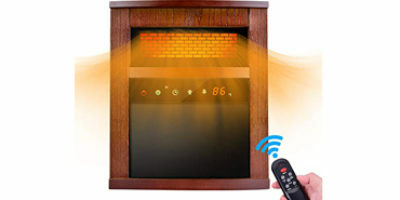 And you can do this either using the buttons on top of the heater or with the convenient remote control. The latter can control the product over 5 feet which makes it extremely comfortable. However, when you are using the remote, the beeps might irritate some of you as they can be a little too louder than you are used to. The ceramic tower heater comes with some great safety features to ensure trouble-free use. There is tip-over protection which shuts down the device when it is tilted or kicked down, so it is a good idea to avoid placing it on carpets, rugs or any surfaces that are not hard enough and flat. Another protective feature that this unit has is the cool-touch exterior. This means that no matter how much heat it produces, the front grill will feel a little hot but not enough to burn your skin. Finally, there is an overheat protection in case the heater reaches hazardous temperatures. If this happens, however, the product will stop blowing warm air and shut down. There is a 1-year warranty for the TRUSTECH ceramic tower heater that comes with the purchase.